It is the 21st Century and we are in year 2018. Times have changed, and technology plays a huge impact in our lives. Our entire day is shaped by the internet, our uncapped WIFI or limited data and the ability to share and capture every moment of our lives or keep up to date with what’s happening in the world. From running a business, communication and even learning we are 100% dependent on technology. 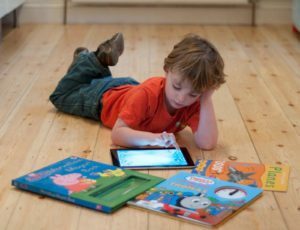 Screen time is a popular go to source for entertaining children and keeping them occupied while we lead our busy lives and attend to everyday demands however do we realise the effect that screen time has on children? 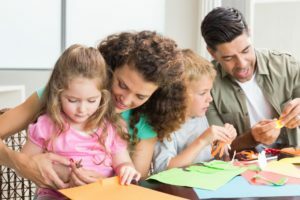 As a speech-language pathologist we are always asked if watching educational programs is good for a child or if downloading educational apps on a tablet will help a child learn. For a young child who is not talking and exposed to excessive (more than 1 hour a day) screen time (T.V., Tablet or smartphone) there is constant exposure to loud noise, high definition images and funny voice overs and sound effects that capture a young child’s attention. As a result, children often pick up an “Accent” from their favourite character as they begin to imitate the way words are said which often leads to Americanised or British accents. Attention difficulties can slowly emerge especially when a young child is “hooked” onto screen time that once it is taken away, the program ends or the battery life dies on the device a tantrum is bound to happen. 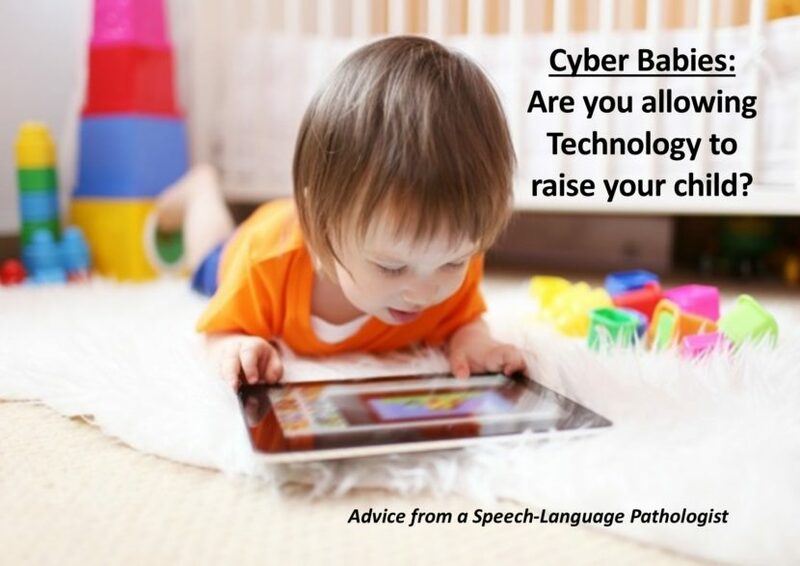 Children crave more and more of the cyber exposure and it doesn’t help when the screens are becoming larger, more sharper resolution and even better sound effects. Another common trend is the emergence of a restricted vocabulary. 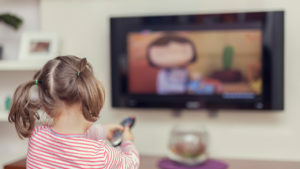 Children become so engrossed in their favourite programme or app that they begin to over generalise and use repeated words or phrases for everyday communication. Some programs and movies have a good story line or teach a child a moral or lesson however young children that have not developed appropriate higher-level thinking skills will not pick up on the moral or lesson and instead fixate on the sound effects, images and characters as opposed to the educational lesson. This is because a pre-schooler’s thinking and reasoning skills have not yet fully developed therefore cannot comprehend the “bigger picture” or moral of the story. Set limits on screen time at least 30 minutes twice a day. Use the extra time to encourage independent play and interaction with friends and family. Watch with your children. Pay attention to the content. If it seems inappropriate, change the channel. Parents always know best. Unplug yourself as well. Switch off the T.V. if no one is watching and avoid having your phone or tablet at the dinner table. Use the time to interact with your child. Develop healthy media viewing habits. Watching a video on a long car trip is okay however using the phone or tablet every time a child gets into a car should be avoided. How will you manage when a tantrum unfolds once the device is taken away? Use technology to your advantage to teach learning. Teach your child how to use the internet and develop critical thinking skills and not to download and view unnecessary content.